If you carry more than a couple of keys, chances are you’ve been driven just a little crazy by the jingling and extra bulk in your pockets on more than one occasion. Sound familiar? Then you’ll love this solution—the KeySmart 2.0 organizer. 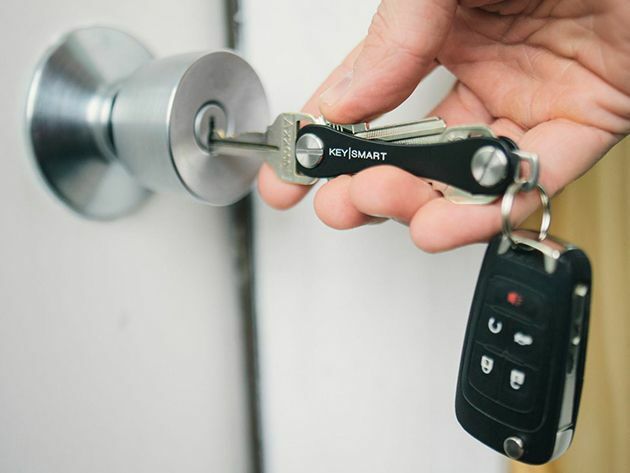 A sleek, compact alternative to a traditional keyring, the KeySmart 2.0 is smaller than a pack of gum and holds up to 10 keys with the included expansion pack. It’s crafted from aircraft aluminum and stainless steel hardware, so it’s both sturdy and lightweight. Did we mention it’s only $16.99 with free shipping at Cult of Mac Deals? Bonus Deal: Another thing that’ll make life a little easier? The ten-foot-long and MFi-certified braided Lightning cable on sale for $19.99.